Our Village™ knows that presentation is important for sellers! The quality of the photos used by sellers when presenting their products can mean the difference between making a sale - or not. We all know when selling a home that “curb appeal” is a very important factor when sellers are attempting to attract buyers. That same principle applies for sellers when posting photos of their products being offered to customers. Here are some simple guidelines to follow that will boost the “curb appeal” of your product photos. Lighting – Why do you believe department stores are so well-lit? They want customers to easily see their products! Photos that are under-exposed (too dark) and those that are over-exposed (too light) will detract from the clarity of the true colors of your actual product. Perfect lighting helps your customers clearly and easily see the true colors of your product. 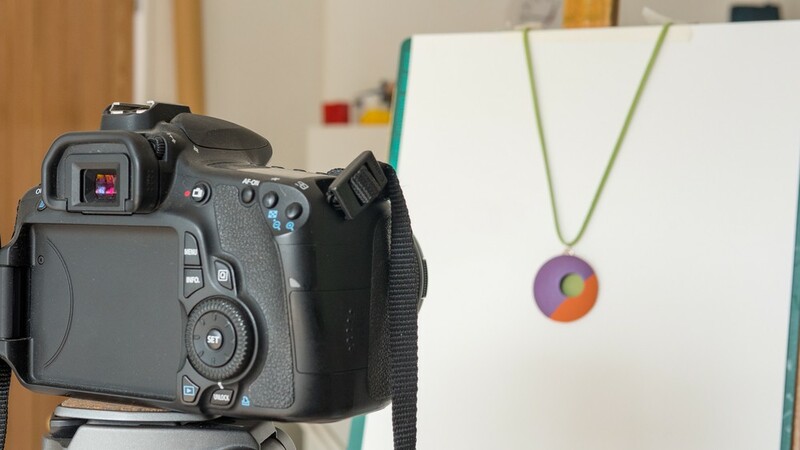 Focus - Lack of focus of your product’s photo can quickly frustrate potential customers! Most customers will quickly pass on an item if they are unable to see its fine detail. Blurry photos are deal-killers. Take time to make sure your product is in perfect focus. Your customers want to clearly see your products as if they were holding them in their hands. Background – When you look at your photo, anything that attracts the eye of your customer other than your product should be removed. Why would you include anything in your photo that distracts your customer’s attention from your product? As a general rule, plain backgrounds of neutral or complimentary colors are your best bet. Models – This can be tricky. Generally speaking, most product photos are better having only your product by itself, properly framed in a plain background. However, some products can be effectively presented using a model if they are items which are worn, such as clothing or jewelry. If using a model, we suggest cropping the photo about mid-way on their nose so anything above that point, including their eyes are not visible. Curiously, the eyes of a model can be distracting for customers. For hats, earrings, etc, you can angle the model’s eyes away from your camera and still properly show your product. Multiple Angles – For some products it may be appropriate to provide customers with photos of your product taken at multiple angles. This allows them to get a proper view of your product, adding some depth perspective. Size of Product – When viewing your product photo, ask yourself, “Can I tell it’s size from this photo?”. Obviously in your product description you can provide dimensions for your customers to read. However, for some products (especially photos which have plain backgrounds) you may wish to include a visual clue so your customer can quickly and easily determine your products size. One way to do this is to simply lay a ruler vertically next to the left or right border of your photo. Another simple and easy way to give your product visual perspective for your customer to lay a coin (dime, nickel, quarter) close to your product. If you follow these few, simple guidelines we have provided above, you will maximize the “curb appeal” of your product photos! All it takes is a little time and thought to change average photos into great ones. And great photos can increase your sales. Good luck! ARE YOU A SELLER? On Our Village you pay NO listing fees and NO commissions are deducted from your sales. Our Village shop owners pay only a flat $5 monthly shop fee – period! Plus, 20% of Our Village’s gross revenues are donated to non-profit organizations that support battered and homeless women and their families. Our Village’s online marketplace provides a risk-free opportunity to sell your products. Please visit www.OurVillage.com, open your shop, and enjoy your first 30 days free!